"This is another strong example of why drivers need to be more aware of emergency vehicles on the highway. This video, it just supports the campaign that the OPP and the agencies are doing over the weekend, trying to get the message out to people to slow down and move over,"
Few of us think about how our pet might be affected if they're in the car with us when we suddenly find ourselves in need of a tow truck. This is what happened earlier this week to The Potters, a Scarborough couple with a small, 9 year old Yorkie named Brooklyn (cute name). They were half way to their cottage when a belt in their car started smoking and they had to pull over. The Potters have been CAA members for 18 years and finally had to give CAA a call. Upon arrival, the couple noticed the cab of the tow truck was fairly small and asked if there was room for all of them to fit. The driver informed them that the 3 of them would fit in the cab but that it's company policy that dogs ride alone in the car being towed. Toronto tow truck driver is being credited for saving the life of a woman who was about to jump off a Highway 401 overpass in Woodbridge. Dino Juiakumar says he was taking Highway 401 home early this morning when he spotted the woman laying “with her head down” on the side of the overpass on Weston Road. He quickly pulled his rig over and approached the woman, who he now noticed was crying. The 19-year-old woman told him through tears that she was going to end her own life. Juiakumar said as soon as he motioned to grab his phone out of his pocket to call 9-1-1, the woman made a break for the overpass and started to try and climb over the edge. At that moment, he threw his phone to the ground, grabbed the woman in a tight bear hug and started moving her away from the overpass. THORNHILL, ON. 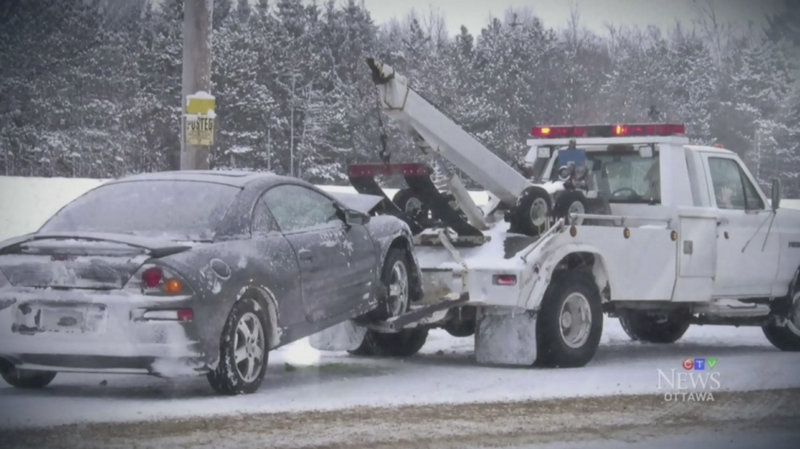 CAA and the Provincial Towing Association of Ontario (PTAO) remind motorists to create safe space on the roads for tow trucks providing service on the shoulder of the highway. Please avoid 'rubbernecking' when passing a highway incident. Rubbernecking involves taking your eyes off the road in order to stare at the drama happening on the shoulder. Sometimes motorists slow down to rubberneck and sometimes they don't, but either way, more accidents are often a result, not to mention clogged traffic. 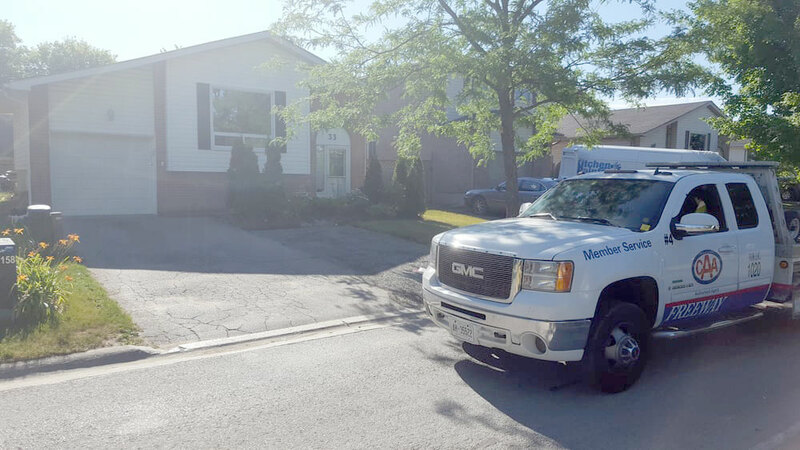 "Tow truck drivers, along with police and emergency service providers are responding to unplanned incidents and collisions on our highways every day," said Cindy Hillaby, vice president, automotive services and GCR, CAA SCO. "We are reminding drivers to do their part to help those working on our roadways clear the road faster and more safely by slowing down, moving over and avoiding the temptation to stare at roadway incidents – also known as rubbernecking." Many don't think about it, but tow truck driving can be a very dangerous job. You're operating heavy machinery (on wheels), often in the midst of oncoming traffic, while trying to navigate stressed out clients, dispatch, often police and other conflicts, as well as battle road conditions, accident investigations and inclement weather. When tow truck drivers are injured, it's often due to being struck by oncoming traffic. We urge you, please slow down when you see the flashing beacon of a tow truck! It's a dangerous job that deserves our respect and caution.